When shoppers throughout the Northeast are on the hunt for a great, used car, they trust Honda Certified Pre-Owned (CPO) Vehicles from their New England Honda Dealers. These models blend exceptional quality with an affordable price tag, creating a value that’s hard to beat. Honda stands behind the quality of each CPO model. Not only will you enjoy all the beauty and reliability of a Honda, but you’ll also receive a number of other benefits. In addition to a detailed, vehicle history report, Honda CPO models include a comprehensive 182-point inspection and comprehensive warranty package so you can feel completely confident as you drive off the lot. 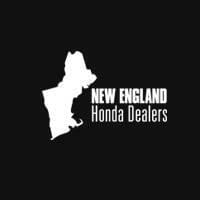 Your New England Honda Dealers consider only well-maintained, late-model Honda vehicles for certification. While most manufacturers offer some type of certified program for pre-owned vehicles, this does not mean that they are all the same. Far from it. Major differences can be found in our warranty, our inspection list, and our vehicles’ condition. Witness the advantages of a certified pre-owned vehicle firsthand with a visit to your nearest Honda dealership today.